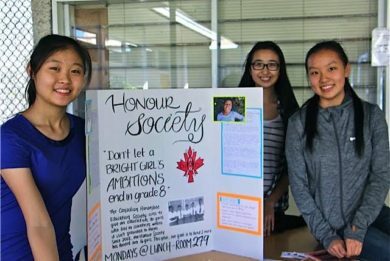 The Honour Society supports girls’ education in Africa. 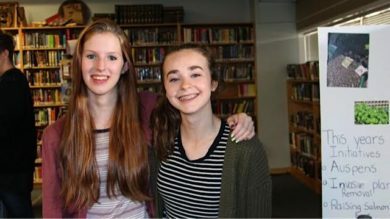 Joining a club at NWSS is a great way to gain a sense of belonging in what is one of the largest high schools in the province. Student leaders at New Westminster Secondary School this year launched the largest number of clubs at the high school yet – a record-breaking 51 clubs in everything from peace, justice, and the environment, to debate teams, dance clubs, and math and STEM clubs – along with jewelry making and Lego building! Students in clubs become part of a positive environment, meet new people, and contribute on both a local and global level through their work on a huge variety of projects. Those keen to compete in both theoretical and experimental science events across Greater Vancouver, for instance, can sign up for NWSS Science Challengers. Others interested in making student-produced films also have a place at NWSS to hone their craft. Clubs are a great way to complement your academic workload and enjoy a rich secondary school experience!